“Wait…hold on!” All twelve researchers rushed toward the whales’ side of the boat, nearly tipping the small craft over as they devolved into a gaggle of curious children reaching out to touch the calf. 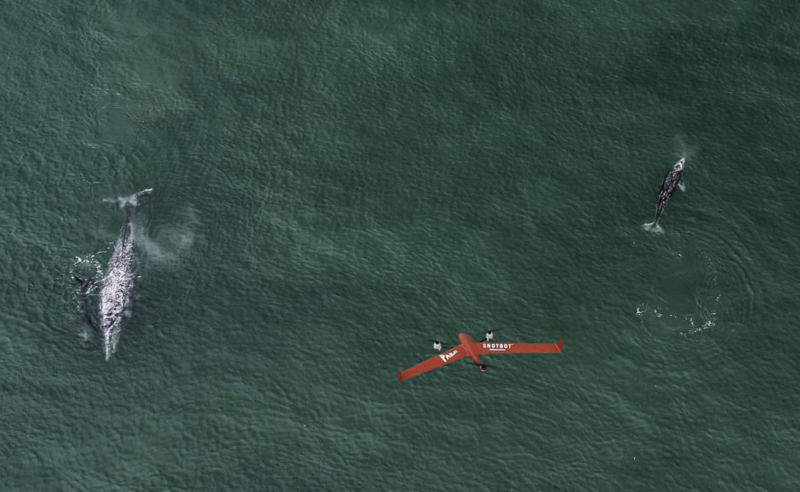 The near-capsizing reminded the researchers they were grownups on a mission and reinforced their motivation to use drones instead of boats for monitoring whale and ocean health. 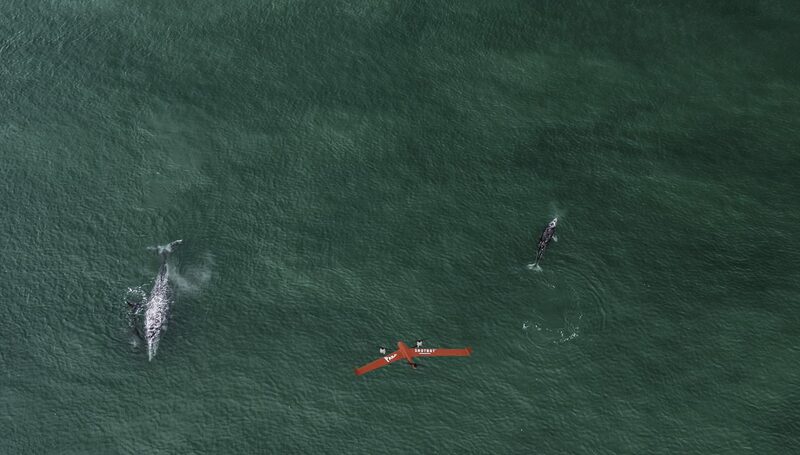 Today, they were using both, with two drones flying overhead as the group approached the whales. FlightWave’s Dan Levy joined Ocean Alliance CEO Iain Kerr and a team of fellow researchers at the San Ignacio Lagoon in Baja California Sur, Mexico. 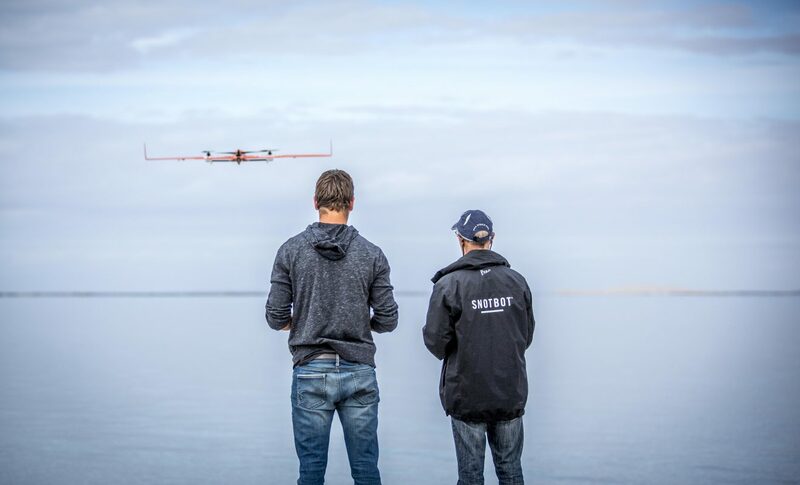 Their mission, test the new FlightWave’s Edge™ UAS for use in Ocean Alliance’s “Drones for Whale Research” program. Iain has been researching whales for 30 years and is passionate about the work, investing his own time and energy on a non-profit basis through Ocean Alliance. The use of a drone makes this mission different, marking a step away from conducting whale surveys via boats or full-size planes. Putting researchers out on the water is time-consuming, expensive, and labor-intensive. Up to now, surveying from a boat requires one person looking right, one looking left, and one looking forward, with a team that photographs and counts how many whales they see over a three-hour period across a distance of 30 kilometers. The standard research method can be dangerous for researchers and disruptive to the whales. Ocean Alliance is eager to learn more about whales but has the wellbeing of those whales in mind at all times. So, getting the boats up close to the creatures, and full-size planes low over the water is expensive, creates noise and disruptive activity that could not only affect the whales but also skew the data collected. Using drones, however, would not only make Ocean Alliance’s missions more time-efficient and cost-effective, but they can also produce awe-inspiring photographs that can bring awareness to their research. On this mission in the San Ignacio Lagoon, Iain and his team discover that not all drones are alike. Throughout the mission, the team took hundreds of photos and videos. But there was one picture the group really wanted to get: a shot of the Edge and the whales together. That proved harder than expected because the other brand of drone kept running out of power. Ocean Alliance is dedicated to continuing its research and striving to increase public awareness of ocean health through its whale population survey. The data compiled during the surveys helps advise educators, policymakers and the general public on ocean health. The ultimate goal: mitigating pollution and preventing the collapse of the marine mammal population. Visit their website at: https://www.whale.org/.